Once upon a time, long before global positioning satellites (GPS) were a concept, man navigated the globe by maps, stars, and compasses. 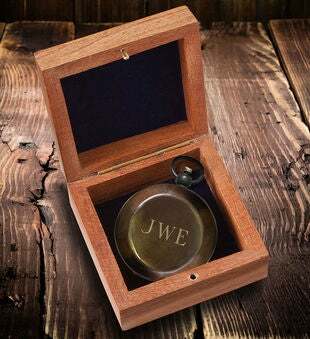 Encourage your avid hiker and outdoor enthusiast to learn or keep this survival skill with our Personalized Antiqued Keepsake Compass that is a thoughtful extraordinary gift for him or gift for her. And compasses never need recharged!